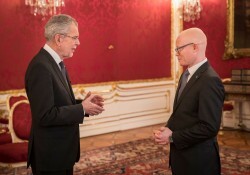 The new Ambassador of the United Republic of Tanzania to Austria Abdallah Saleh Possi presented President Alexander Van der Bellen with his letter of accreditation at the Vienna Hofburg. On 9 January 2018, Federal President Alexander Van der Bellen welcomed the newly accredited Ambassador Abdallah Saleh Possi to the Presidential Chancellery of the Vienna Imperial Palace for the presentation of his letter of accreditation. 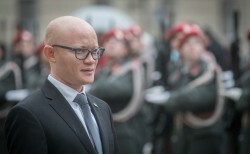 The newly appointed Ambassador of the United Republic of Tanzania was accompanied by Attachée Frederick Davis Kimweri. This article includes a total of 55 words.